Yes, it definitely belongs to me. Yet, I am so thankful for His shed blood for my sins. Blessings to you for posting this. My heart was touched. 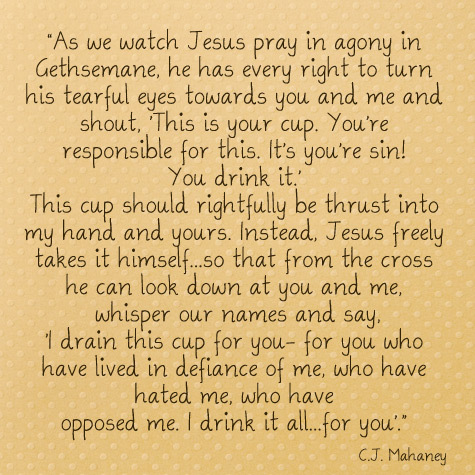 Praise Him for His amazing love! We are so unworthy of Christ's sacrifice, yet He still bestowed on us the gift of eternal life. It is so sad that many Christians only remember that at Easter. Thank you so much for sharing Amy. Hope you and your family had a Blessed Easter. Amen! Thanks for posting such a lovely poem. Praise the Lord that He was and is so loving! 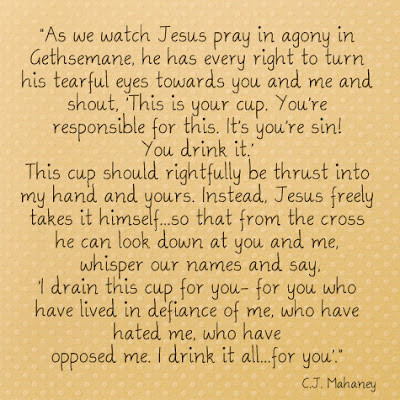 I'm so blessed that He took that cup for me. @ Amy...It is the GOOD news. To have my sins accredited to His account. The One who did not deserve it. And His righteousness accredited to my account, the one who didn't deserve it. The great exchange. It's something to rejoice about!